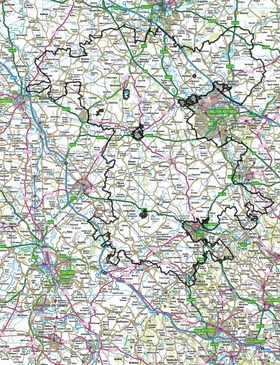 APPLICATIONS NOW CLOSED FOR THE CHILTERNS & NORTH & WEST NORTHANTS. CLAY VALES LEADER IS STILL OPEN FOR APPLICATIONS. Talk through the details of your planned investment with your LEADER area Project Officer and find out if it’s likely to be eligible for LEADER funding. We can answer any specific questions you may have and guide you through the application process. When you are ready to apply, an Outline Application form can be requested directly from your Project Officer. Here you will provide a background to your business, an overview of your project including financial information, and justification for your project in its wider business context. Your Outline Application will be assessed by your Local Action Group (LAG) and if successful you will be invited to complete a Full Application. Remember you should not begin any part of your project until you have your written grant award notification. During this stage you will provide a more detailed account of your business including more comprehensive financial information about your project such as: projected growth; opportunities for employment creation; and costs based on quotes. Remember that being asked to complete a Full Application is not a guarantee of successfully being awarded a grant. STEP 4: Grant Award: Successful or unsuccessful? You will be informed in writing if your Full Application has been successful or otherwise. The date on your grant award letter signifies the time from which you can start your project so you can then order or pay for goods and services to begin the work. If your application is rejected, you may appeal. Please download the Appeals Guidance Form from the LEADER area page on the web-site for more information. You are permitted to claim your grant funding in up to 3 stages. Once all of the above has been confirmed and approved, grant payments will be made. 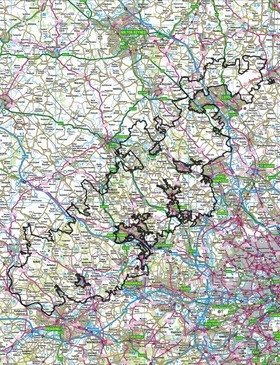 The Clay Vales LEADER area covers much of South Northamptonshire, Aylesbury Vale and rural Milton Keynes. 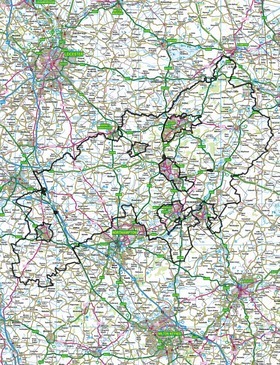 The North and West Northamptonshire LEADER area covers the majority of the rural area of these parts of the county.